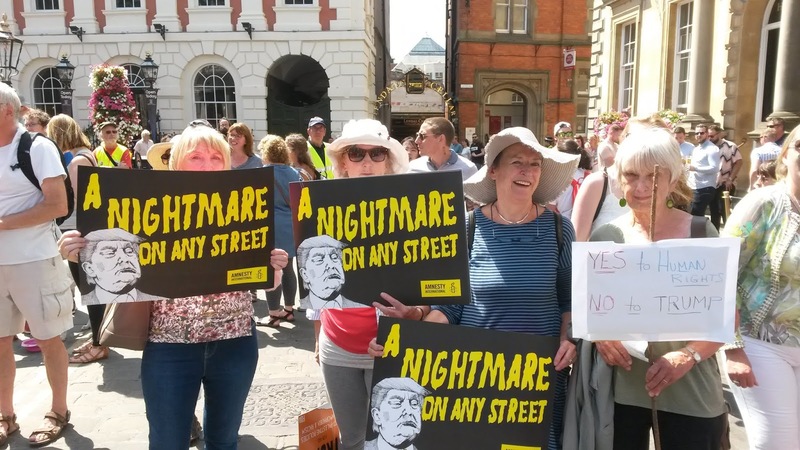 We believe that the president of the United States of America should set a good example instead of locking up children who enter his country without permission or separating them from their families - so we joined hundreds of other demonstrators in York city centre on 14 July to express our disapproval of Donald Trump's visit to the United Kingdom. We do not meet in August. Our next monthly meeting takes place on Tuesday 11 September. As usual, the venue is York Friends Meeting House, Friargate, York YO1 9RL and everyone is welcome to attend.